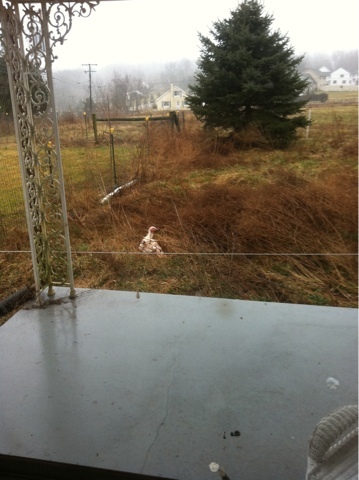 We found the turkey hen! Jess had told us there had been only one sighting of this gal over the entire weekend. We did not see her for the first few days of this week. Tracking back, she had left her nest to get some water and a quick bite to eat. She was in a patch of high grass in a quiet spot around the corner of the house. She had laid a bunch of eggs and is sitting on the nest! 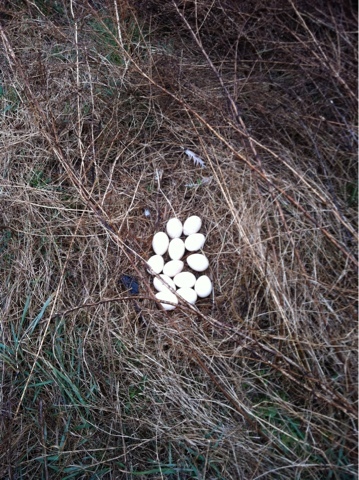 The eggs are quite likely fertile, based on her activities in the last month or so with the Tom turkey. He is now moving around the farm without her..we will see when eggs hatch if he participates. The geese do..but turkeys are certainly not geese! 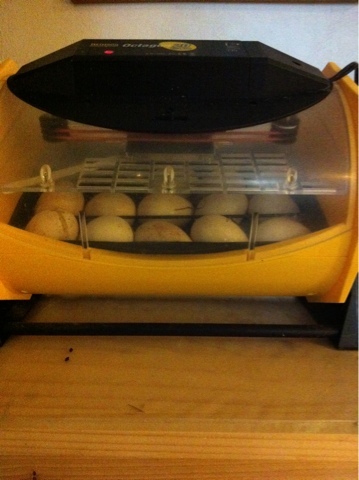 Homer collected some of the turkey eggs and put them into the incubator. Some will stay under her, and we sure hope she hatches out and takes care of a bunch of them, turkey polts do not ship well and growing our own would be a great solution! Now we will likely pen the ducks for a week or so, we want to get some of their eggs to hatch those out too. Spring! Yay!